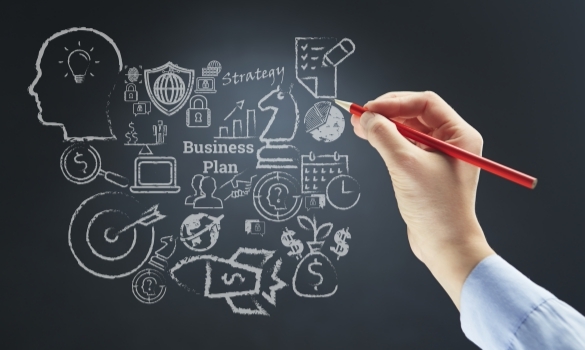 All business owners strive to create the best business plan. They struggle to determine the most important factors and how to effectively portray them in their plans. Whether you want to open a transport business or a small t-shirt company, you will need a strong business plan to become successful. As a small business owner, you’re probably in the same boat. Fortunately, there doesn’t need to be much of a struggle. Read on to discover tips for creating the best business plans for small businesses. Many small business owners make the mistake of focusing solely on ideas and not at all on the writing quality. This results in a major downfall. If investors find that the fundamentals of the English language are not present in your business plan, they will turn you down. They are looking for high-quality plans written by well-educated professionals. Pay close attention to your grammar and spelling. Proofread your work more than once. This will ensure investors that you are one of those well-educated professionals. Having poor writing skills in your business plan will automatically lose you the “best business plan” title regardless of how brilliant your ideas are. No bank or investor is going to want to invest in a business plan that sounds incredibly similar to one they heard last week. Make sure your pitch decks exemplifies your business’s uniqueness. Draw your audience to what is different and creative about you and what you’re proposing. Make sure that it states what exactly your business will be doing and whom it will be doing it for. Explain why your costumers should buy from you. These should all be unique characteristics about your company. The best business plans make all of this very apparent. When creating your business plan, consider the fact that people want to be taken straight to the point. They want to be taken there in a very clear way. Cut down your sentences as best as you can without losing what it is you’re trying to say. If your business plan is very lengthy, the chances of it getting read are much lower. Short and sweet plans are more likely to be read and then considered. You will want to edit and add to your business plan over time. Writing a long and difficult-to-understand plan off the bat will create more struggle for you in years to come. Business plans should be clear and concise. The most crucial portion of your business plan is the executive summary section. This section is the most frequently read. This part of your plan is going to be what your audience reads to decide whether to continue reading your plan or not. In order to make them want to continue reading, you must make your executive summary stand out with the business model as well as product features and benefits. It should consist of just a couple of paragraphs. Keep it clean-cut. Include only the essentials such as the idea, the team, the financial costs needed, and the market. Focus a lot on this section of your business plan for your small business to make it one of the best. Before even beginning to write your business plan, have your audience in mind. Consider them while writing. Write to your audience. Research the bank or investor whom you are targeting. This will allow you to speak specifically to them throughout your plan. Use your research to outline your plan. Doing this will increase your chances of being considered by that bank or investor. It will, therefore, significantly improve your business plan. Creating the best business plans isn’t as difficult as you might have thought. You must have high-quality writing skills. You should show banks/investors the uniqueness of your business. Keep it clear and concise. Understand the most crucial elements and pay close attention to them. Consider your audience from beginning to end. Follow these tips and you’re sure to create one of the best business plans for your small business.